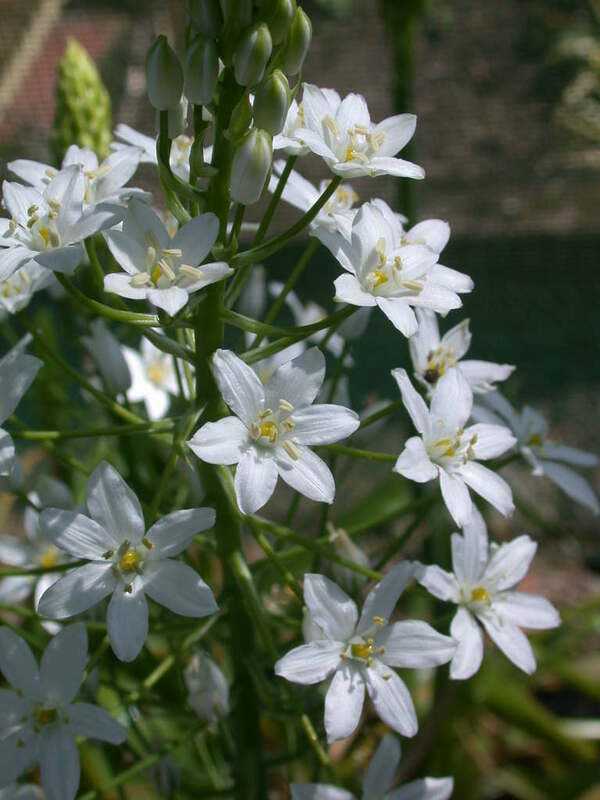 This form of the common Star of Bethlehen has flowers in a spike rather than flat on the ground. The spikes have silvery-white flowers with a very broad green stripe on the outside of the petals giving an impression of glistening jade-green. This bulb can be naturalised in light grass or is good in part shade.